Dr. Loreto B. Roquero Jr, the Country Director for Nutrition International in Philippines, is a public health specialist with over 20 years of program and technical experience in health and nutrition. Overseeing the country team for program design and development, implementation, monitoring and reporting and resource mobilization, he is steering the country program development, giving it strategic direction, managing donor and partner networks in an effort towards advocating for better health and nutrition with the government’s Department of Health, nutrition bodies and UN agencies. Loreto has a keen interest in the field of maternal, adolescent and child health; also having gained vast experience working for improving reproductive health and HIV/AIDS; in health systems strengthening, program strategy, design and implementation; and evidence-based advocacy and policy dialogue. A Masters in Public Health from the University of Philippines, with post-doctorate training in HIV/AIDS epidemiology from the University of California, U.S.A., Dr. Roquero is a medical doctor by training from the West Visayas State University, Philippines. An esteemed subject matter expert, he is also a member of the Philippine Society of Microbiology and Infectious Diseases, Philippine Society of Venereologists, and the AIDS Society of Philippines. Loreto has worked in multicultural settings, with some of the worlds’ premier public health organizations, thereby contributing to the advancement of regional cooperation for better public health. He started his career working for the Philippines Department of Health serving as a medical specialist and program lead for child health, HIV/AIDS and STIs, Family Planning and Reproductive health programs. 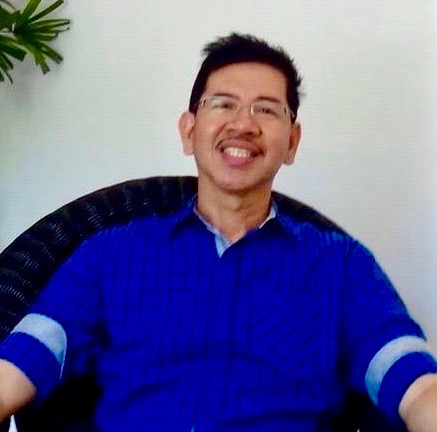 Prior to joining MI, Dr. Roquero has worked in a technical lead capacity for organizations such as Family Health International 360 (Philippines), Pathfinder International (Vietnam), UNFPA (Lao PDR), ASEAN Secretariat (Indonesia), EngenderHealth (Philippines), and the Philippine National AIDS Council. With USAID and Government of Philippines funding, for FHI360, led the design and implementation of the project ‘Reaching Out to Most-at-Risk Populations’ to reach difficult-to-access and/or unreached clients, increase client retention, and provision of additional health and non-health interventions. Led a public-private partnership initiative project at Pathfinder International for improving sexual & reproductive health (SRH) of People Living with HIV in Vietnam, leading upto development of guidelines and mHealth initiatives. Developed the United Nations Population Fund (UNFPA, Lao PDR) HIV/AIDS and SRH Strategy; strengthened the Vientiane Youth Center as the UNFPA’s flagship center for youth-friendly HIV/AIDS and SRH information and services; enhanced service delivery capacity of member organizations of the Referral and Counseling Network; and strengthened implementation of the Adolescent Sexual and Reproductive Health curriculum in the Ministry of Education. Led the review and redesign of HIV/AIDS/STI Surveillance Systems in Philippines in partnership with National Epidemiology Center of the Department of Health, culminating in adoption and implementation of the Integrated HIV Behavioral and Serologic Surveillance System.